This self catering apartment is ideally located in East Central Edinburgh, in a buzzing area 5 minutes walk from the central shopping area and surrounded by a fantastic array of multi cultural restaurants, the Playhouse Theatre, the Omni Cinema Complex and bars, clubs and independent shops. 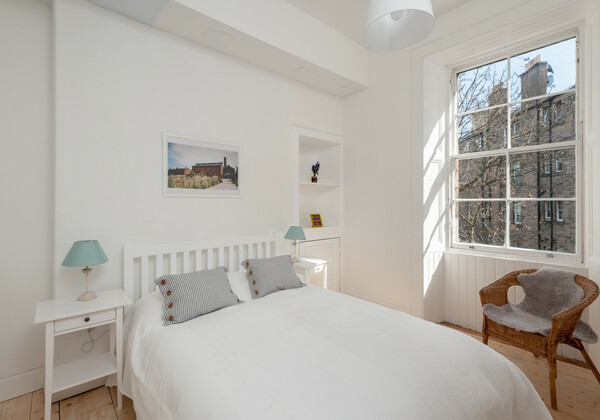 On the second floor, the Elm Row Apartment provides a calm and stylish home from home, with 3 bedrooms, sleeping 6, an open plan kitchen, diner, sitting room, and a bathroom with bath and shower. 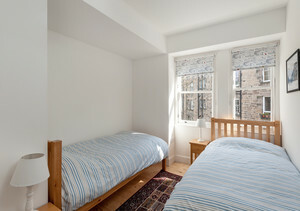 Fully equipped, with all Linen and towels provided, this self catering apartment has everything you need to make the most of your visit to Edinburgh. Parking right outside the apartment and in the nearby residential area. Buses, 2 minutes walk, Trams and Trains, Waverley Train station and St Andrews Bus station all under 10 minutes walk. An ideal location to base yourselves whilst exploring Edinburgh. The Bedrooms are to the rear of the property. 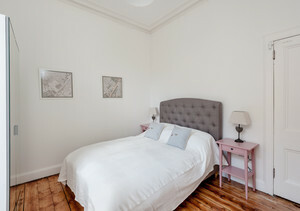 The Elm Row Apartment is privately owned by a small Self Catering property business, Braw Holidays which deals with all the bookings and payments. Your property manager for the apartment is Dayna Turnbull e mail: dayna@eliteproperty-management.co.uk Mob: 07944189711. Dayna provides a Meet and Greet service for your arrival at the apartment where she will show you around, hand over the keys and answer any questions you might have. Please contact her once you have made your booking to arrange an entry time that suits you. Please note if you require a meet and greet after 7pm there is a £15 late check in fee. For those arriving after 7pm you can access the key and arrange for Dayna to come round in the morning if you wish.